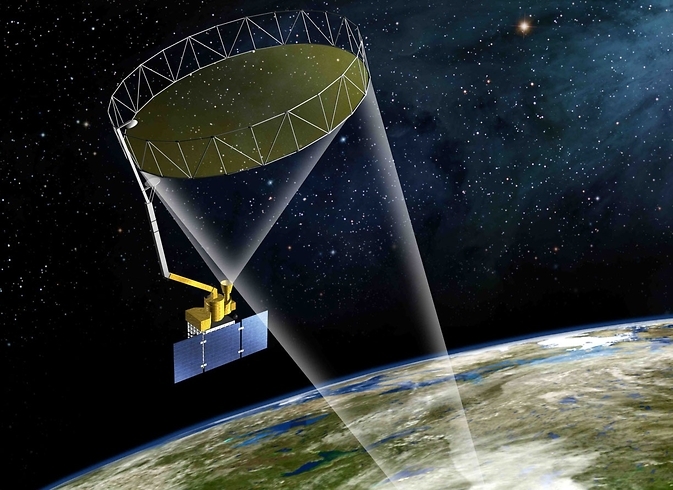 January 28, 2015 – NASA is preparing for a Thursday, January 29, launch of the first U.S. Earth-observing satellite designed to collect global observations of surface soil moisture. The agency’s Soil Moisture Active Passive mission (SMAP) will lift off from Space Launch Complex 2 at Vandenberg Air Force Base in California at 9:20 a.m. EST (6:20 a.m. PST) on a United Launch Alliance Delta II rocket. NASA Television coverage will begin at 7 a.m EST. SMAP will provide high resolution, space-based measurements of soil moisture and its state — frozen or thawed — a new capability that will allow scientists to better predict natural hazards of extreme weather, climate change, floods and droughts, and help reduce uncertainties in our understanding of Earth’s water, energy and carbon cycles. The mission will map the entire globe every two to three days for at least three years and provide the most accurate and highest-resolution maps of soil moisture ever obtained. The spacecraft’s final circular polar orbit will be 426 miles (685 kilometers), at an inclination of 98.1 degrees. The spacecraft will orbit the Earth once every 98.5 minutes and repeat the same ground track every eight days.